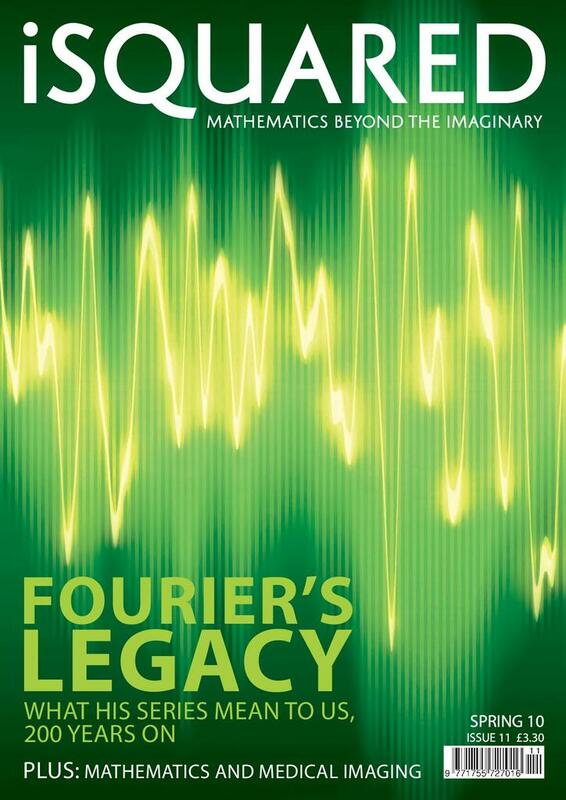 The remarkable series of Joseph Fourier - Véronique Pagé explains how a controversial nineteenth century mathematics paper spawned a field whose applications now range from electronic music to crystallography. Maths, molecules and medical imaging - Anna Faherty talks to GlaxoSmithKline mathematician Rogr Gunn about the role of mathematical modelling and image analysis techniques in the development of pharmaceutical drugs. Our own correspondent - Former foreign correspondent Alex Bellios discusses mathematics, journalism and researching his new book of ‘dispatches’ from the mathematical world. In addition, each issue of the iSquared magazine contains news items, puzzles, a book review and a mathematical history. In this edition, Peter Rowlett looks at how cosmological theories evolved over time as scientists gradually improved their understanding of the universe through the use of mathematics and astronomical observation.